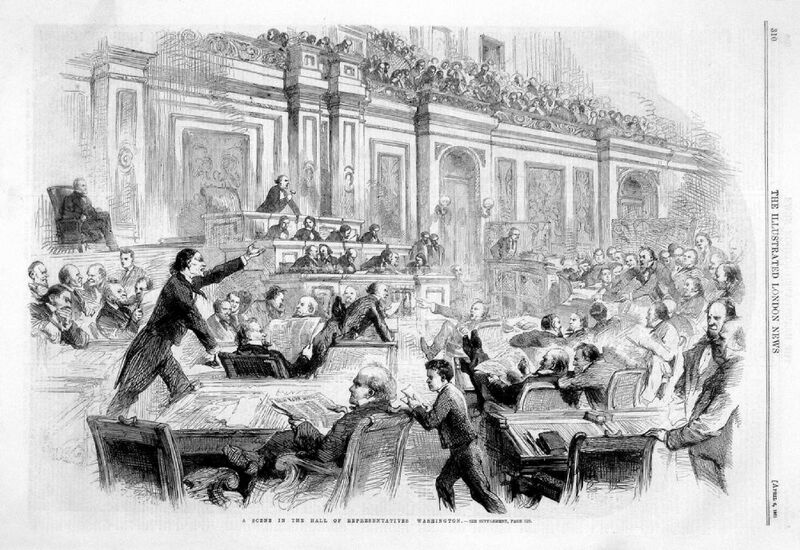 USA History. 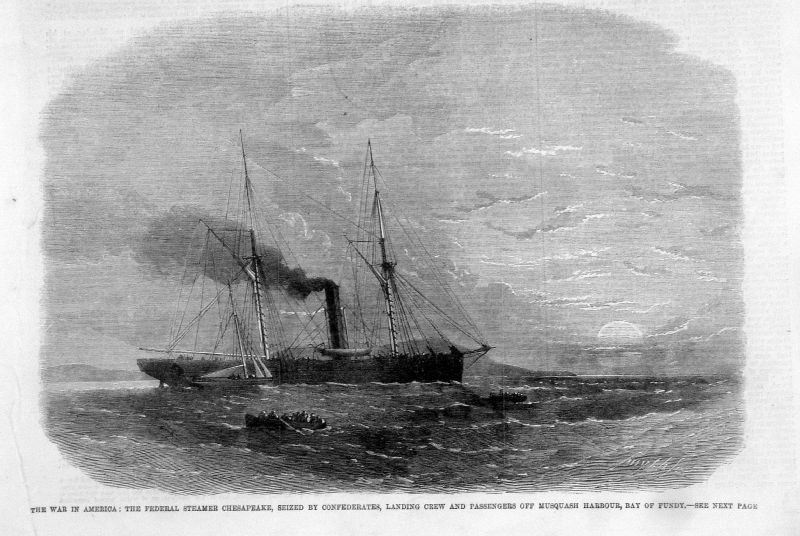 The Boarding of the Chesapeake by the crew of The Shannon. 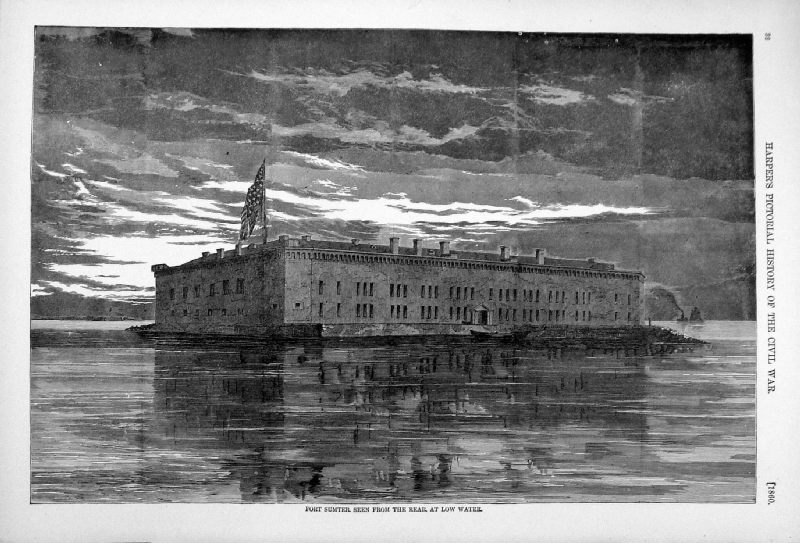 The Civil War in America: Repairing damages in the casements of Fort Sumter on the night of the attack. 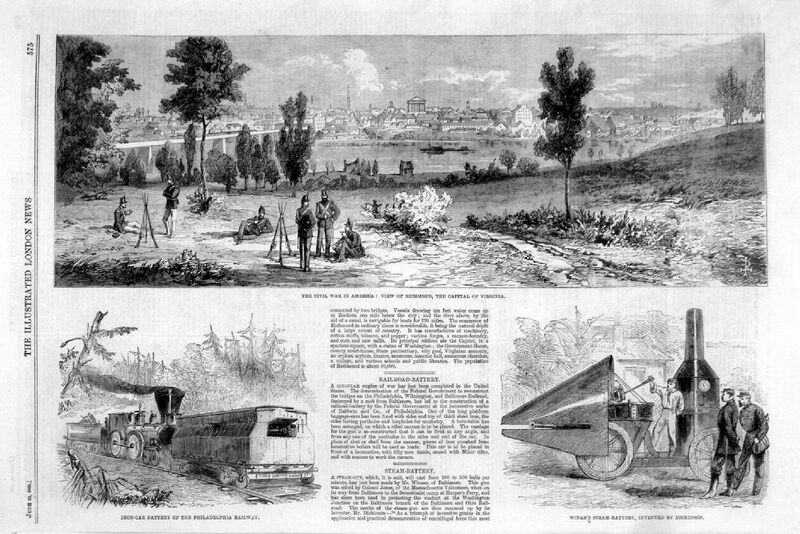 The Civil War in America: Advance of the Federals Towards Lee Town, Jefferson County, Virginia - Stuart's Flying Artillary coming into action. 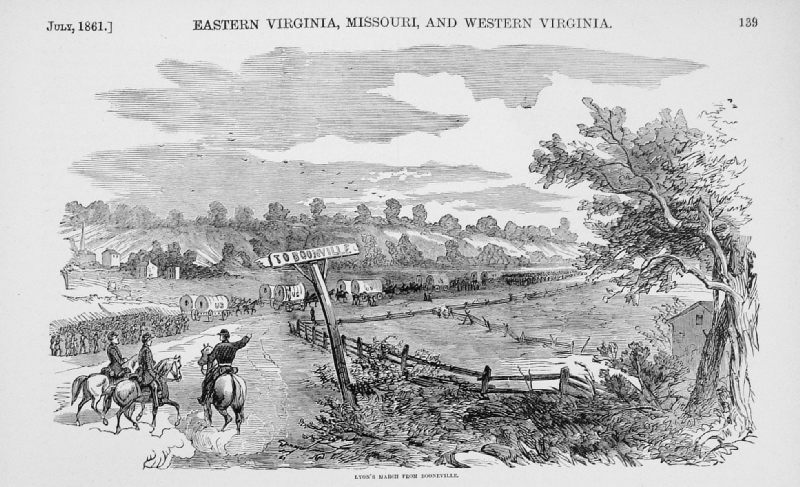 The Civil War in America: Retreat of the Federals from Jefferson County after their unsuccessful attempt to reach Winchester. 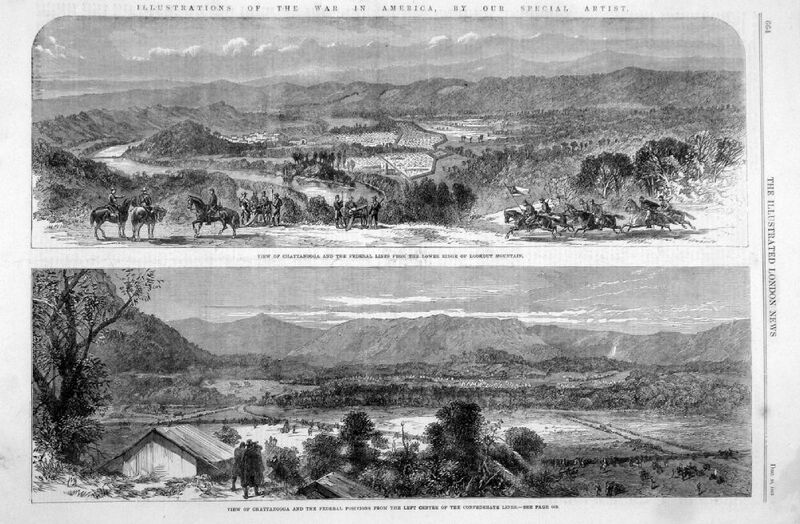 The Civil War in America: Review of Federal Troops on 4th July by President Lincoln and General Scott: The Garibaldi Guard filing past. some very light spots of foxing. 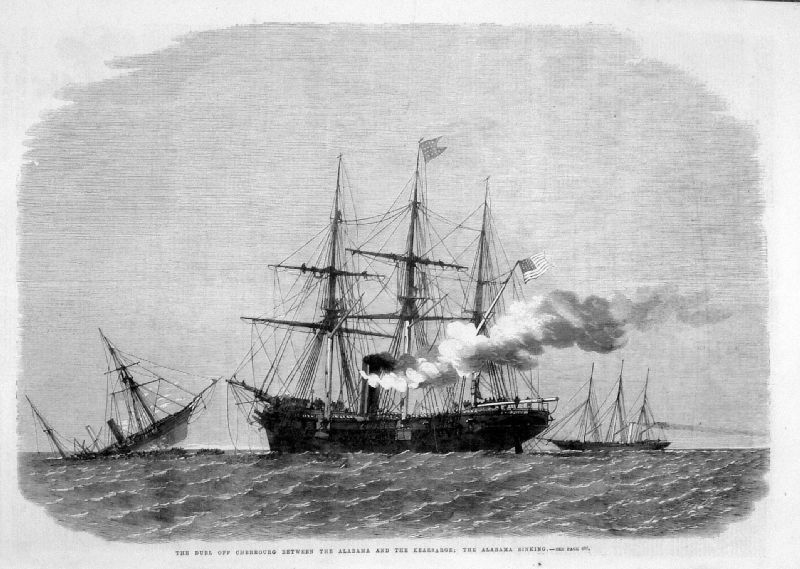 The Civil War in America: The Confederate Sloop-Of-War Sumter capturing two Federal Merchantmen off Gibraltar. 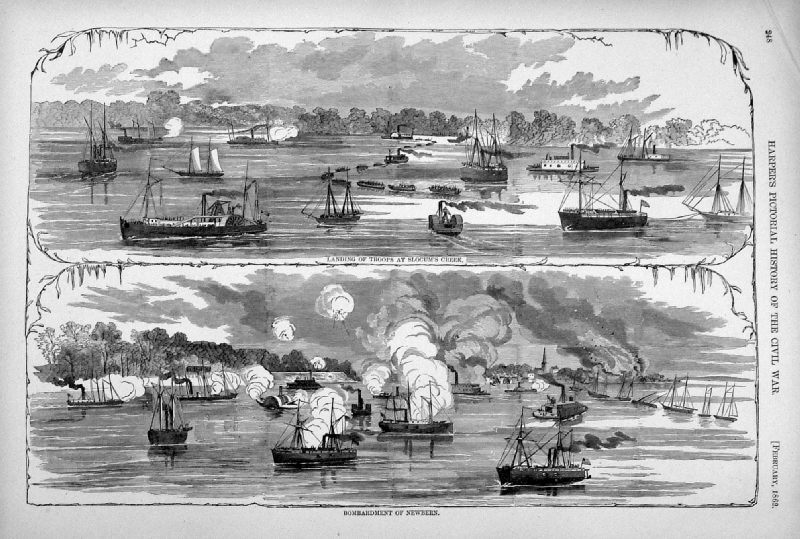 The Civil War in America: Engagement off Fort Pillow, Mississippi River, between Federal and Confederate gun boats. 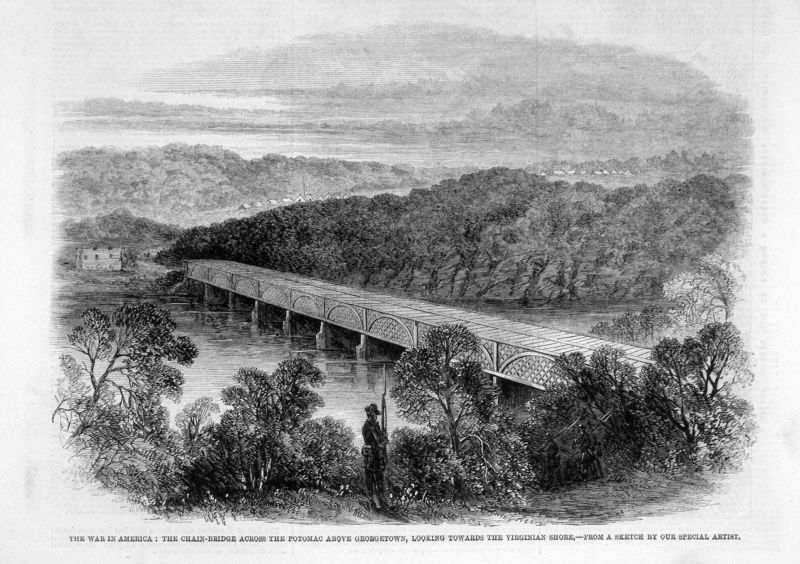 The Civil War in America: Railway bridge over the rapids of James River. 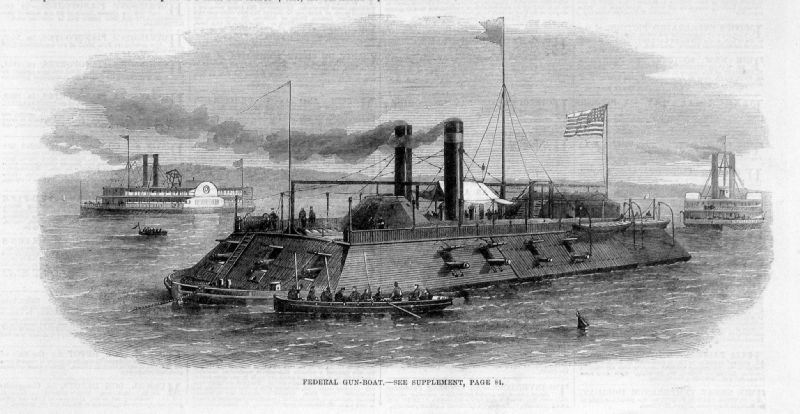 The Civil War in America: Federal ironclad Keokuk as she appeared on the morning after the fight. 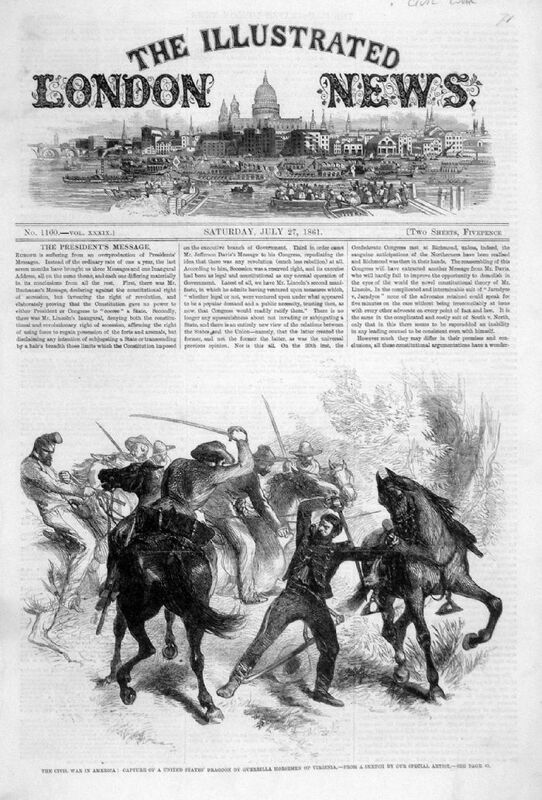 Illustrated London News May 16 1863 size: 540 x 380 mm , double page, centre fold. 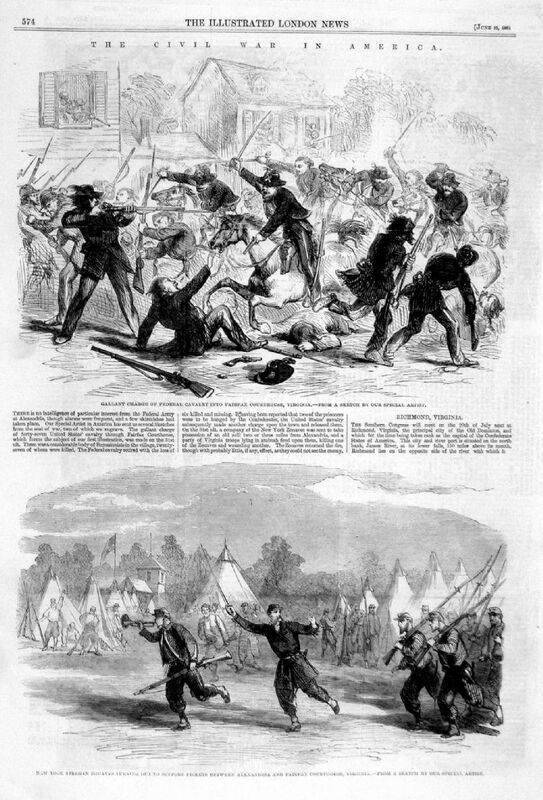 Illustrated London News May 25 1861 size: 260 x 190 mm, a few minor creases. 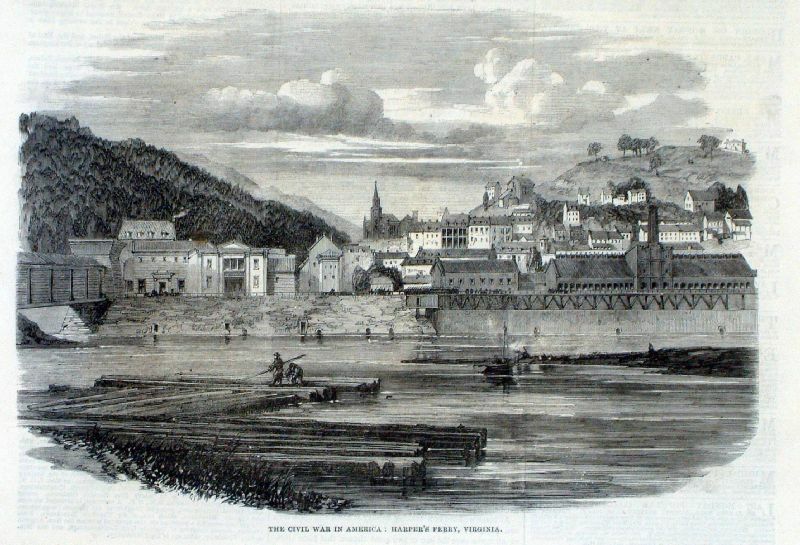 Bottom: The Civil War in America: View of Petersburg, Virginia. 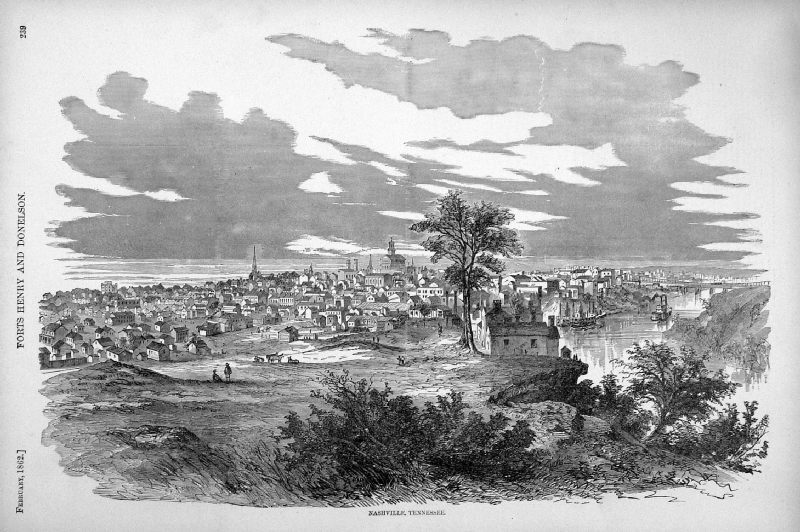 The Civil War in America: View of Richmond, the Capital of Virginia. 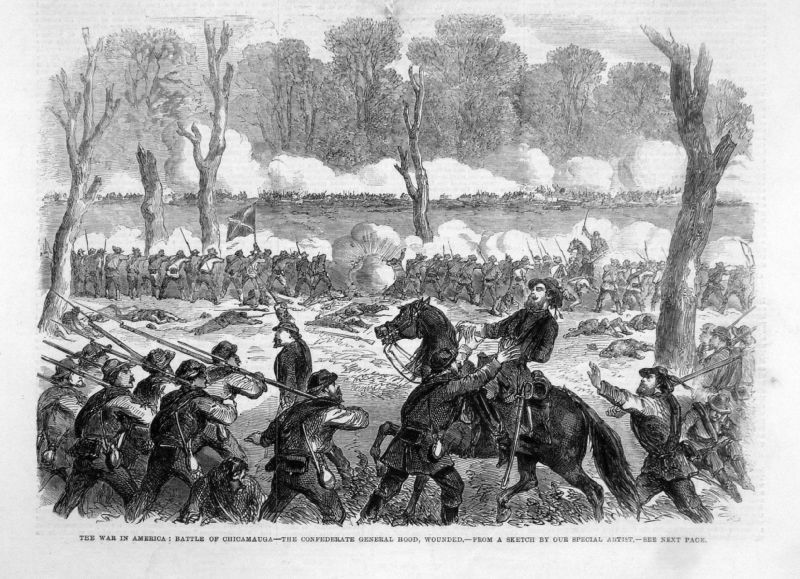 The Civil War in America: General Stewart (Confederate) with his Cavalry scouting in the neighbourhood of Culpepper Courthouse. 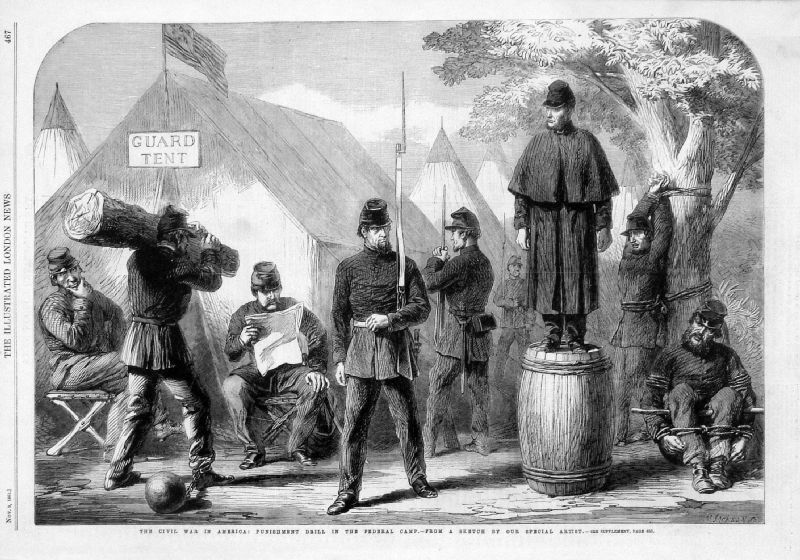 Some of "Wilson's Boys" in wooden camp on Staten Island. 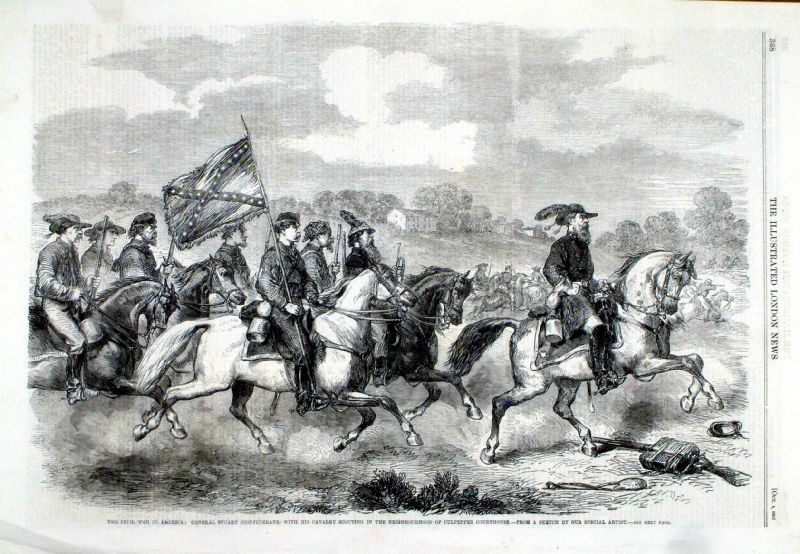 "My Headquarters in the camp of the 2nd New York Regiment"
Gallant Charge of Federal Cavalry into Fairfax Courthouse, Virginia. 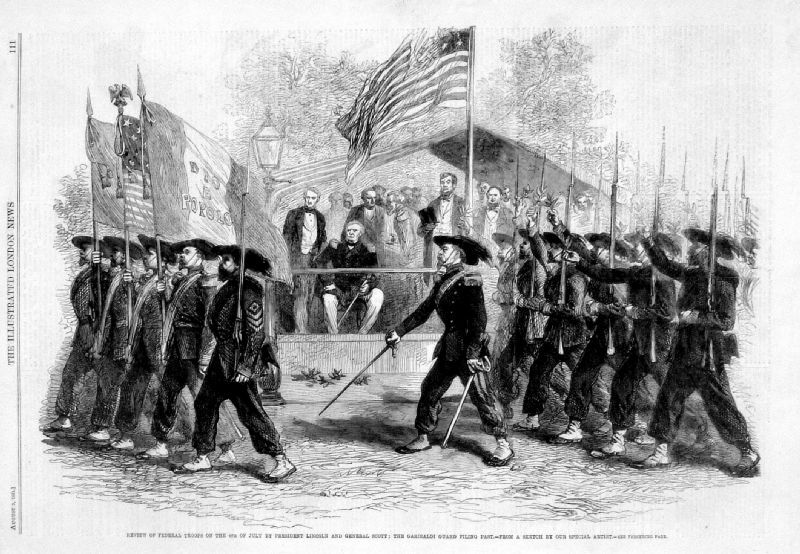 New York Firemen Zouaves turning out to support pickets between Alexandria and Fairfax Courthouse. 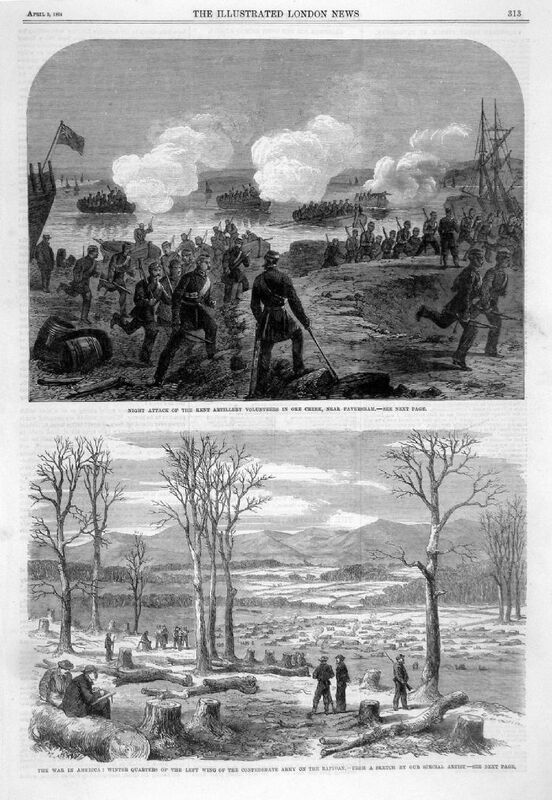 Bottom: Winter Quarters of the left wing of the Confederate Army on the Rapioan. 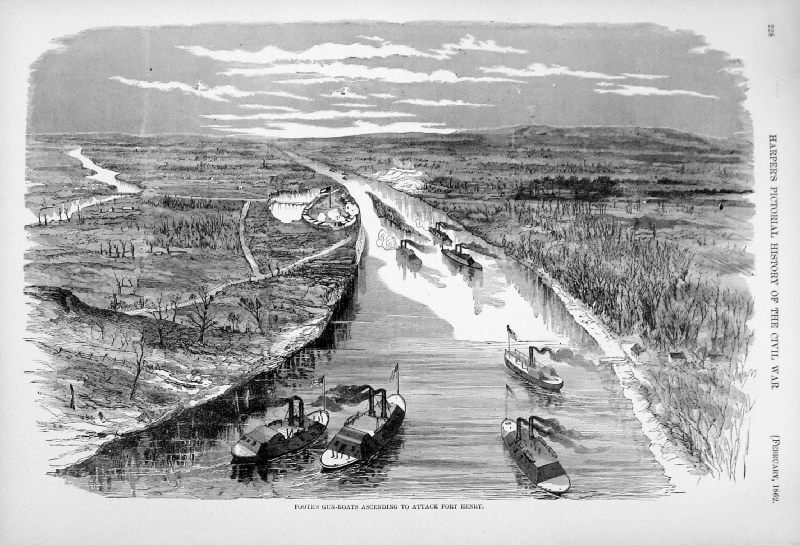 The War in America: Refugees from Southern Cities on the Mississippi flocking for protection to the Federal Transports on their advance down river. 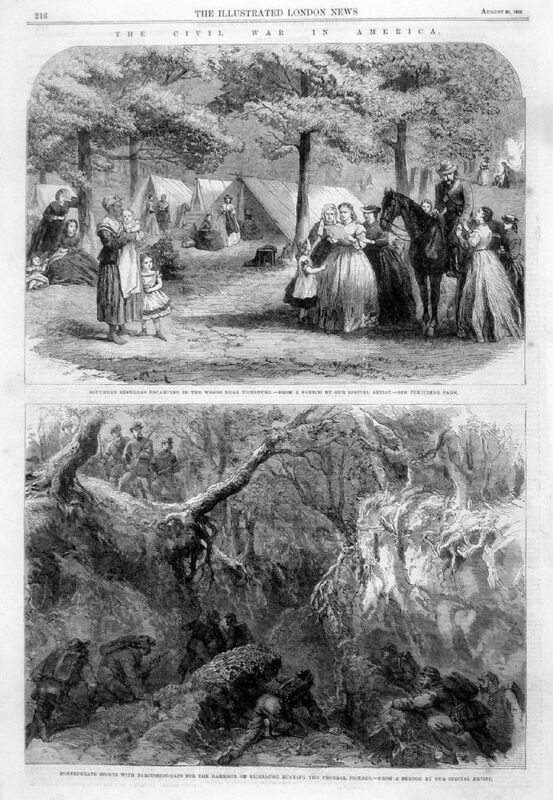 Top: Southern Refugees encamping in the woods near Vicksburg. 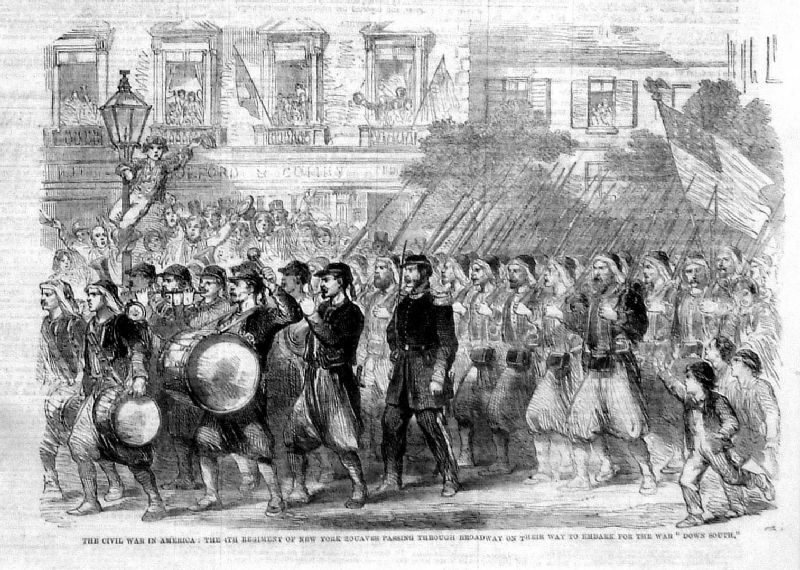 Bottom: Confederate Scouts with percussion caps for the Garrison of Vicksburg. 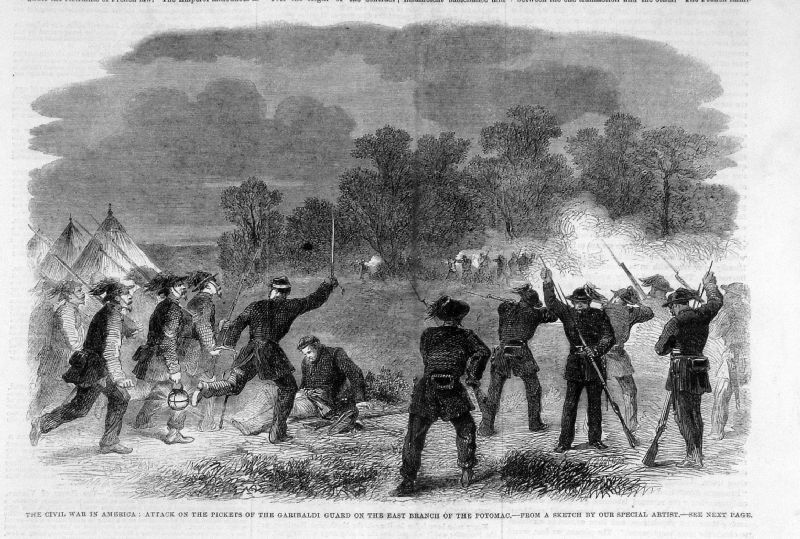 Top: How the Outlying Sentries of the Federal Army are killed by Secessionist Scouts. 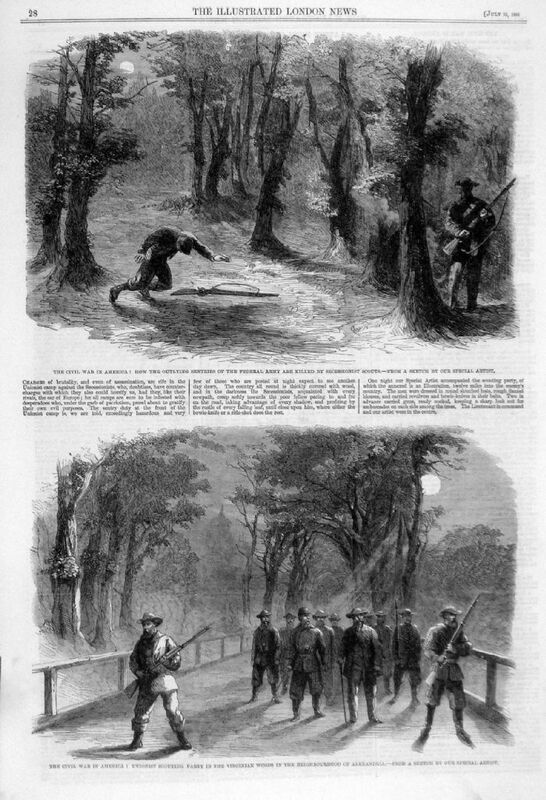 Bottom: Unionist Scouting Party in the Virginian Woods in the neighbourhood of Alexandria. 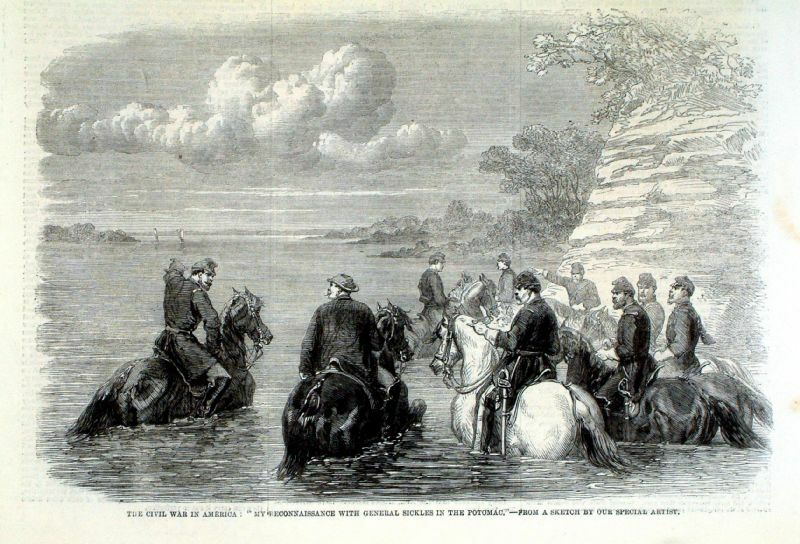 Drury's Bluff, a Confederate position on the James River near Richmond. 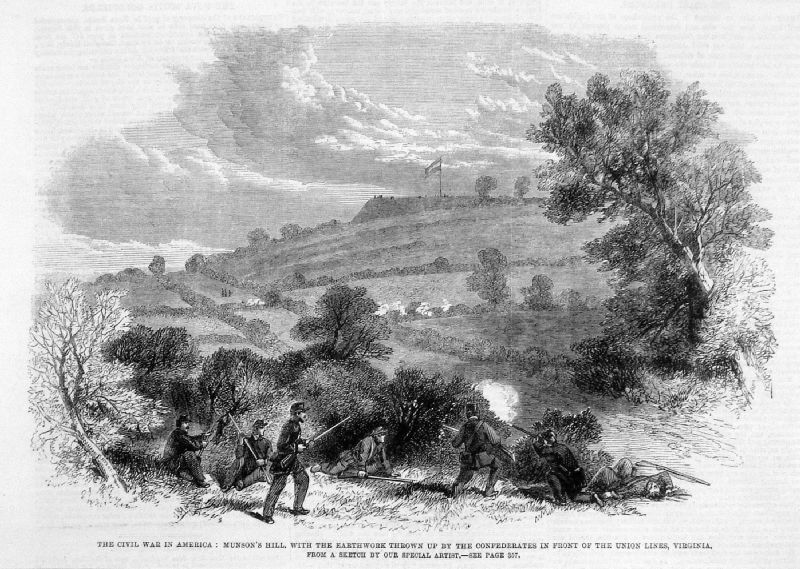 Attack on the Pickets of the Garibaldi Guard on the East Branch of the Potomac. 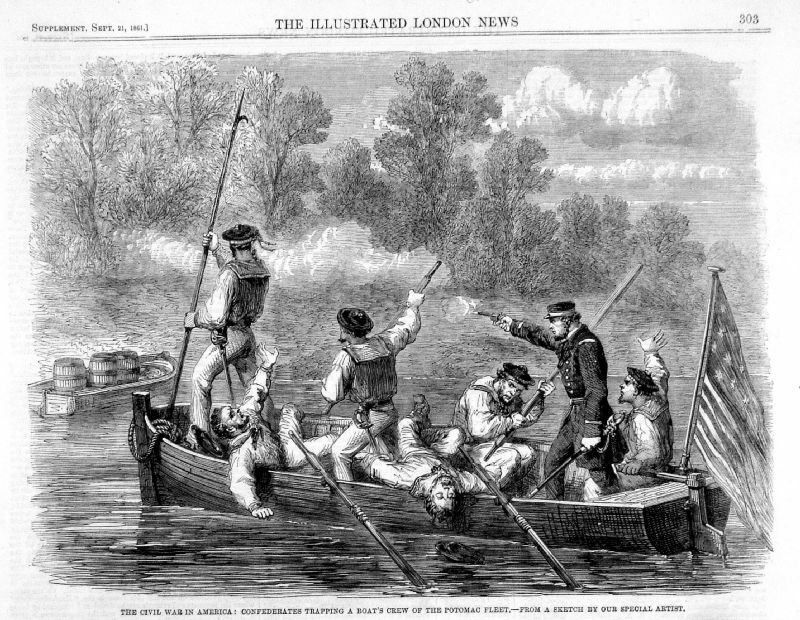 Confederates trapping a boat's crew of the Potomac Fleet. 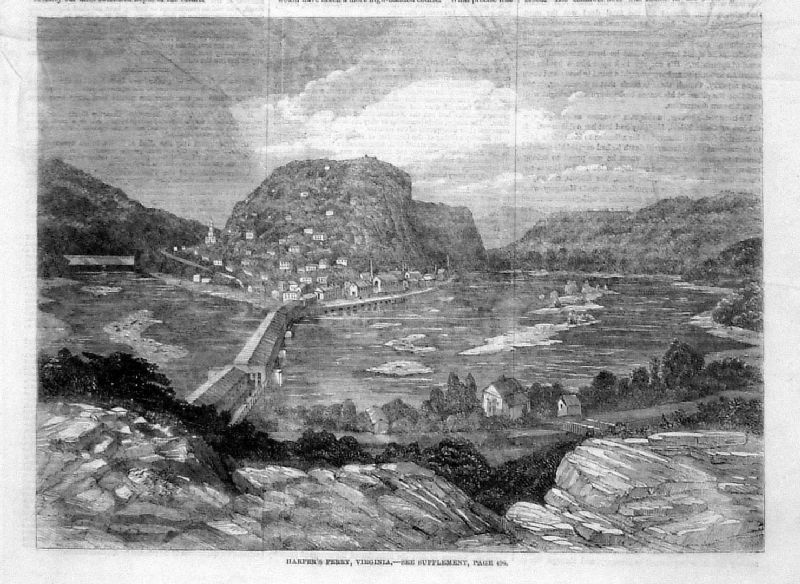 Top: View of Chatanooga and the Federal Lines from the Lower Bridge of Lookout Mountain. 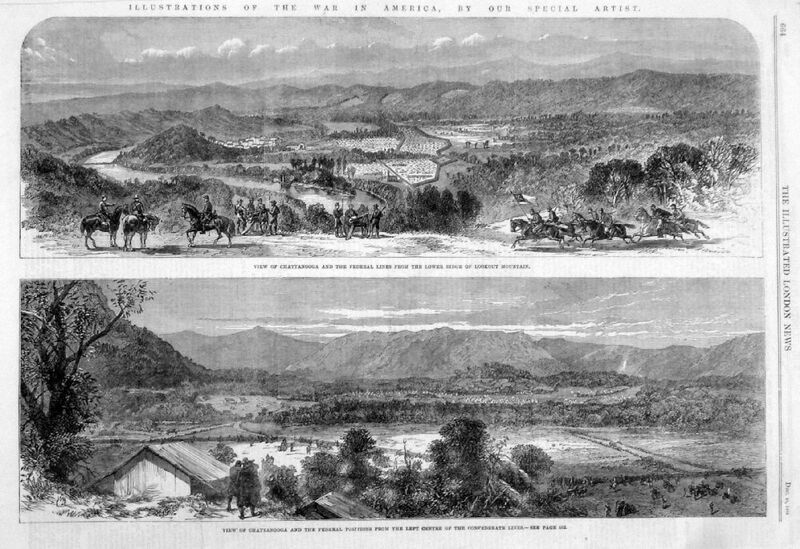 Bottom: View of Chatanooga and the Federal Positions from the left centre of the Confederate Lines. 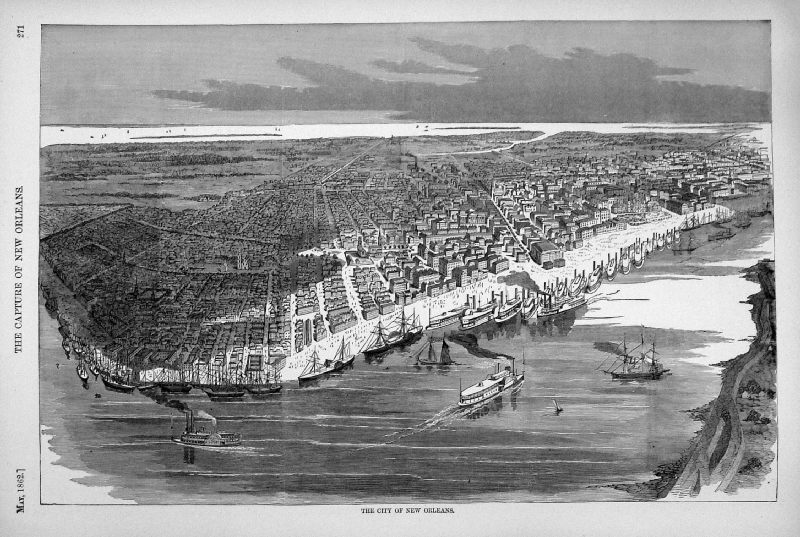 Illustrated London News Nov 15 1862 size: 260 x 120 mm, stain spot in centre sky. 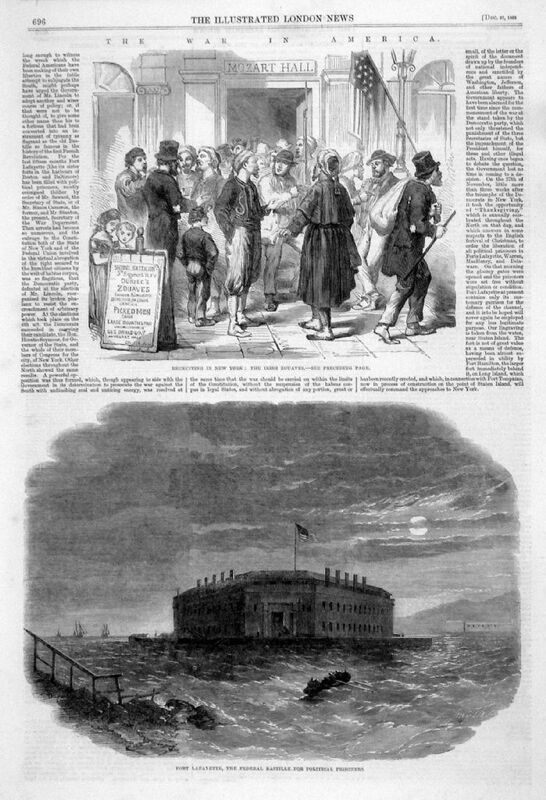 Bottom: Fort Lafayette, the Federal Bastille for Political Prisoners. 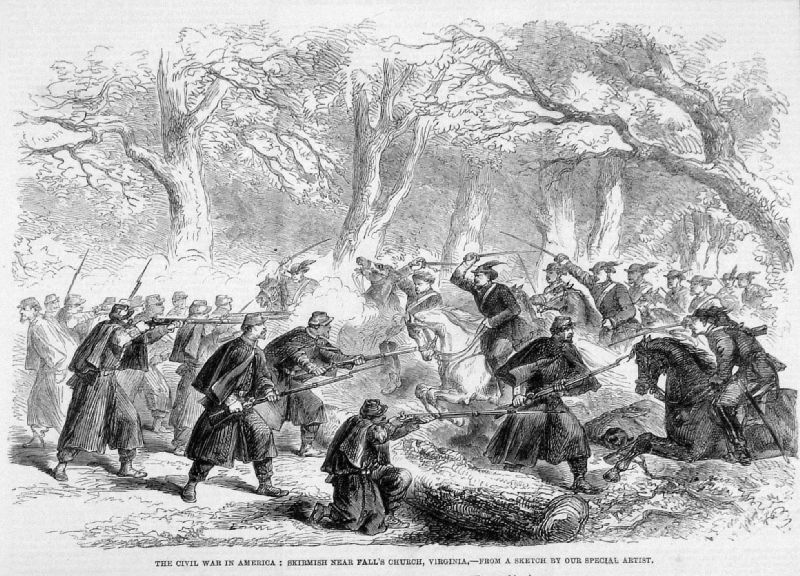 Retreat of the Federalists after the fight at Ball's Bluff, Upper Potomac, Virvinia. 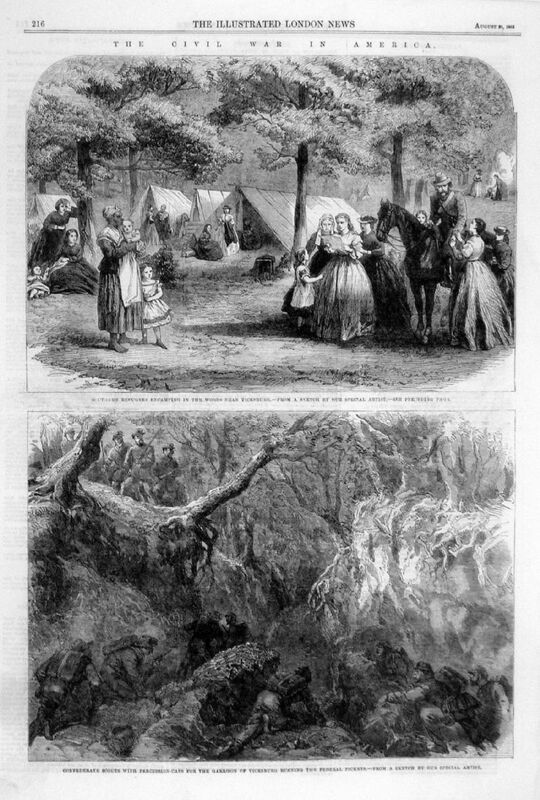 Illustrated London News Nov 22 1861 size: 260 x 180 mm, light impression. 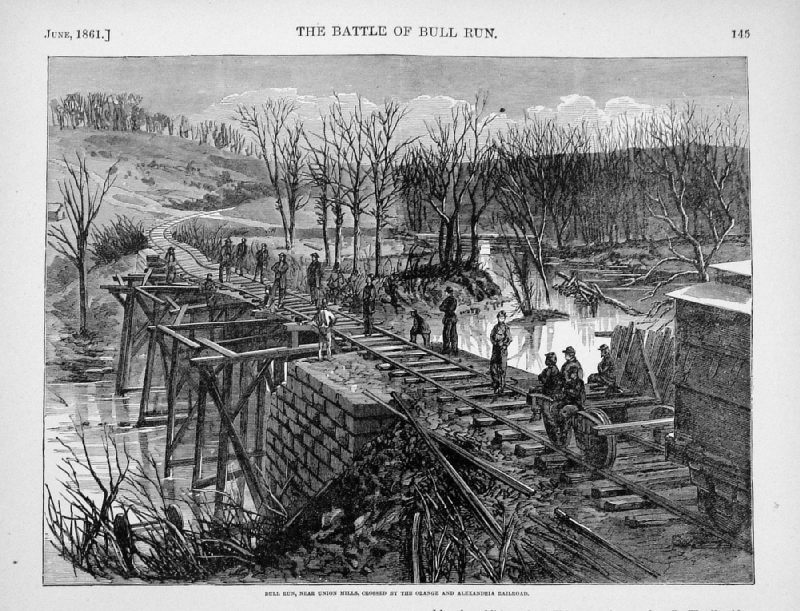 Federal Picket on the Potomac, in front of Confederate Batteries. 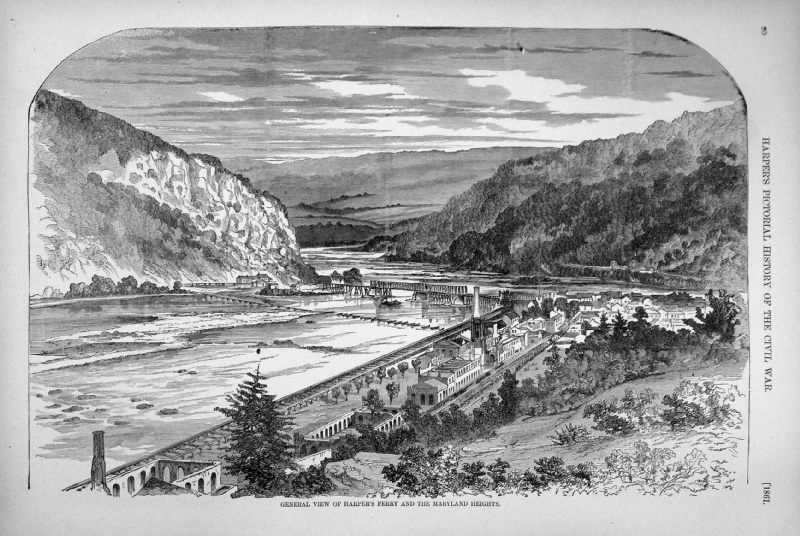 Chain Bridge across the Potomac above Georgetown. 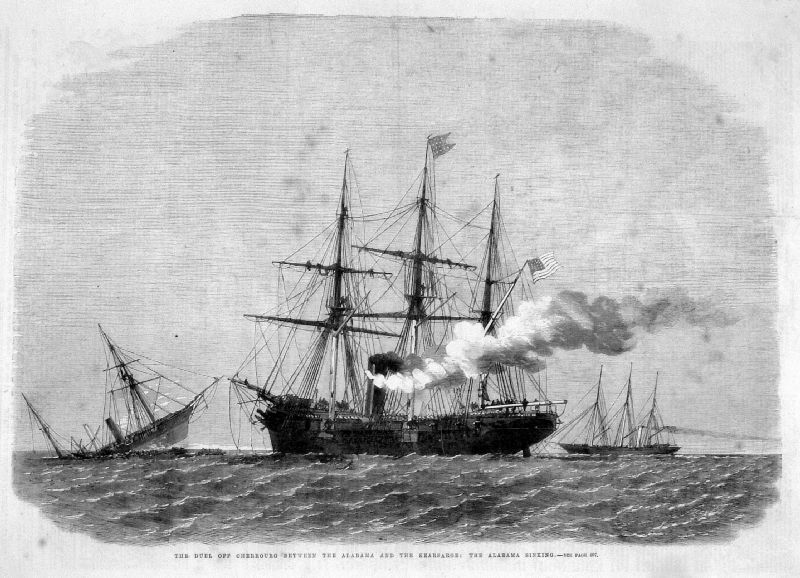 Duel off Cherbourg between the Alabama and the Kearsarge: The Alabama sinking. 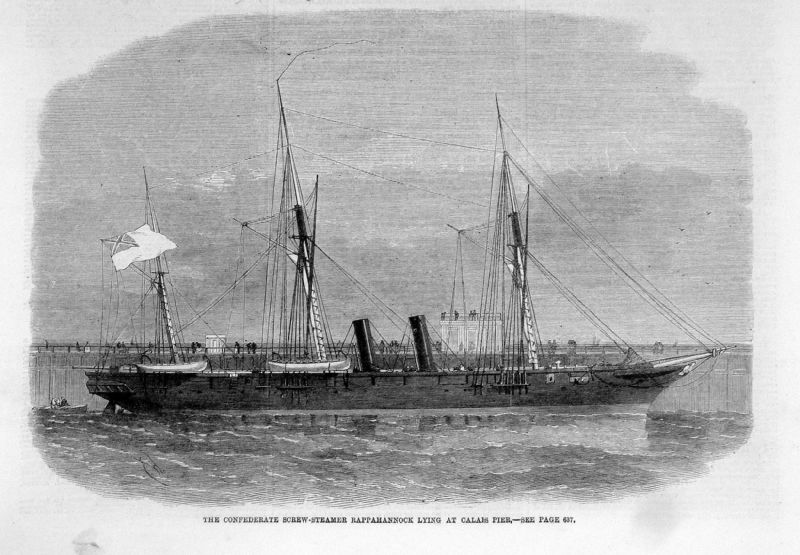 Confederate Screw-Steamer Rappahannock lying at Calais Pier. 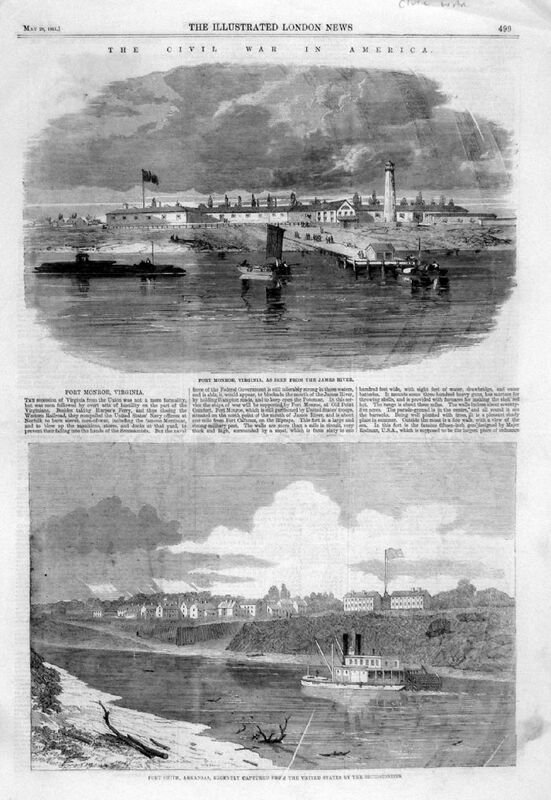 (Confederate Ships used French ports for refits and maintenance). 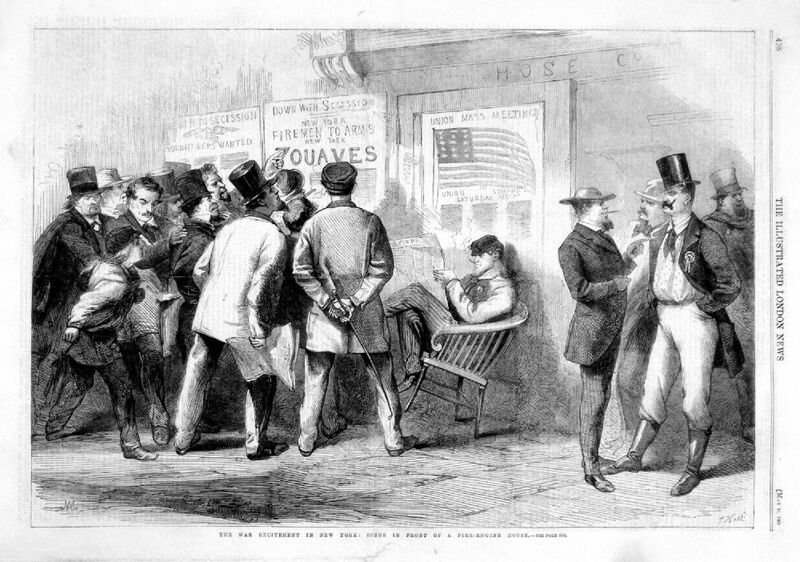 The War Excitement in New York: Scene in front of Fire-Engine House. 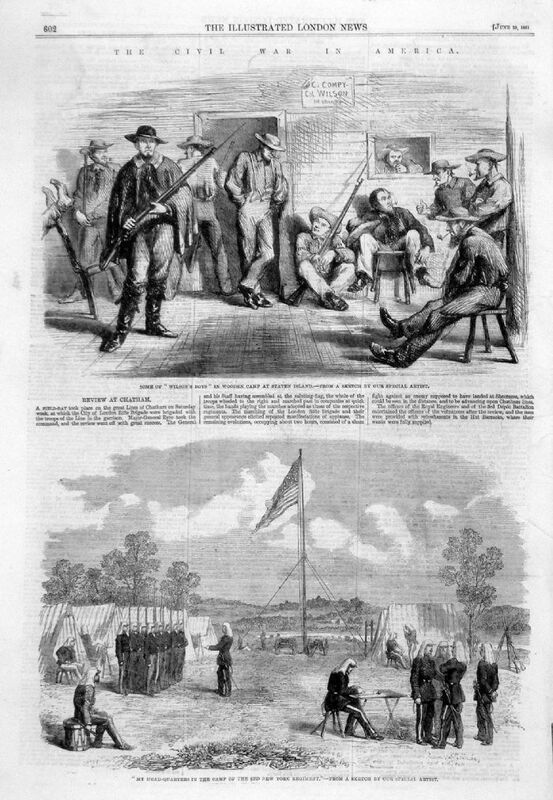 Posters claim " Down with Secession - New York Firemen to Arms .."
Illustrated London News May 25 1861 size: 380 x 260 mm. 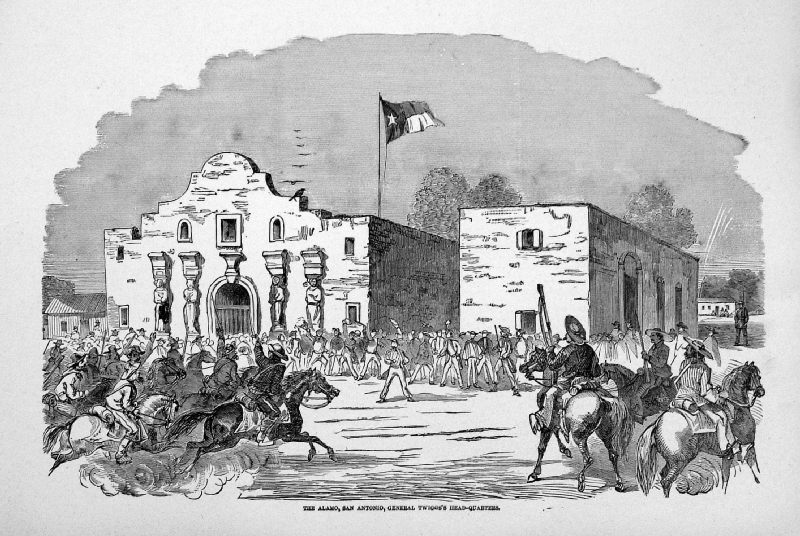 The Confederates quitting Brownsville, Texas. 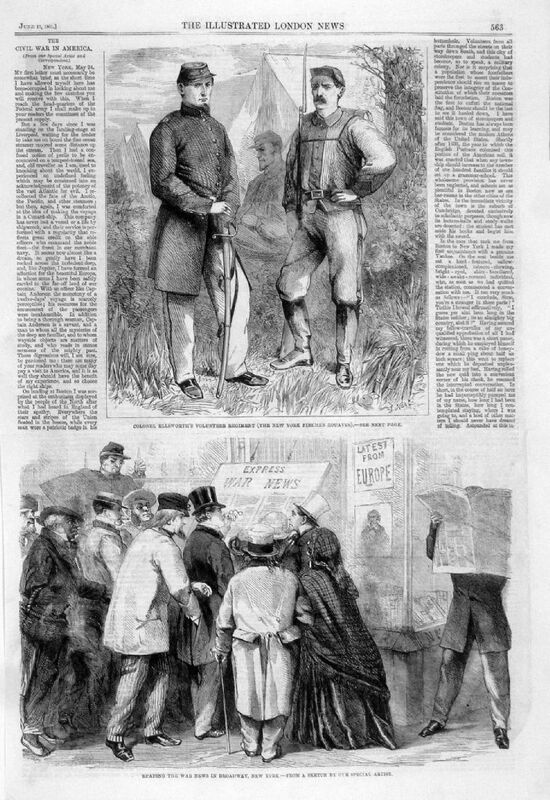 Illustrated London News Jan 9 1864 size: 260 x 180 mm. 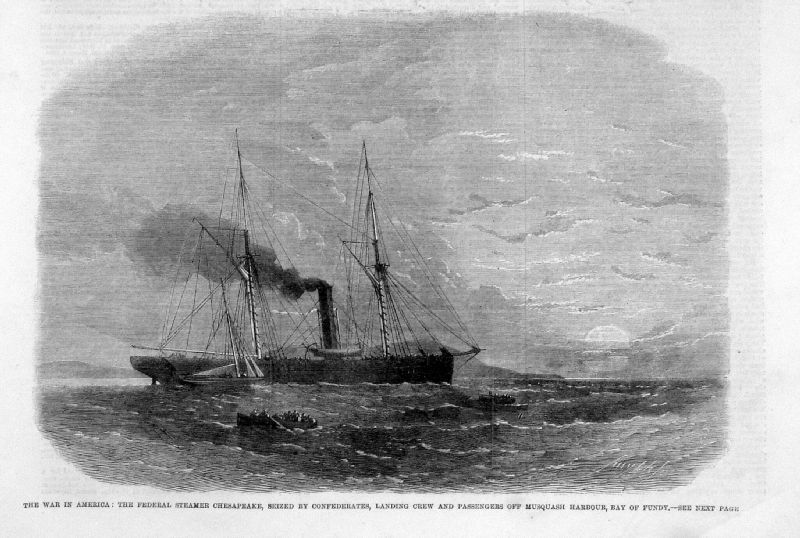 The Federal Steamer Chesapeake, siezed by Confederates, landing crew and passengers off Musquash Harbour, Bay of Fundy. 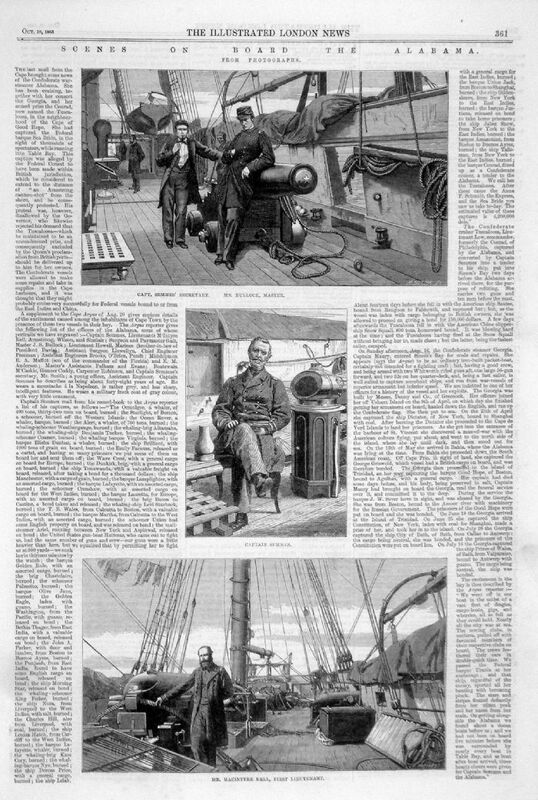 Illustrated London News July 19 1862 size: 260 x 130 mm. 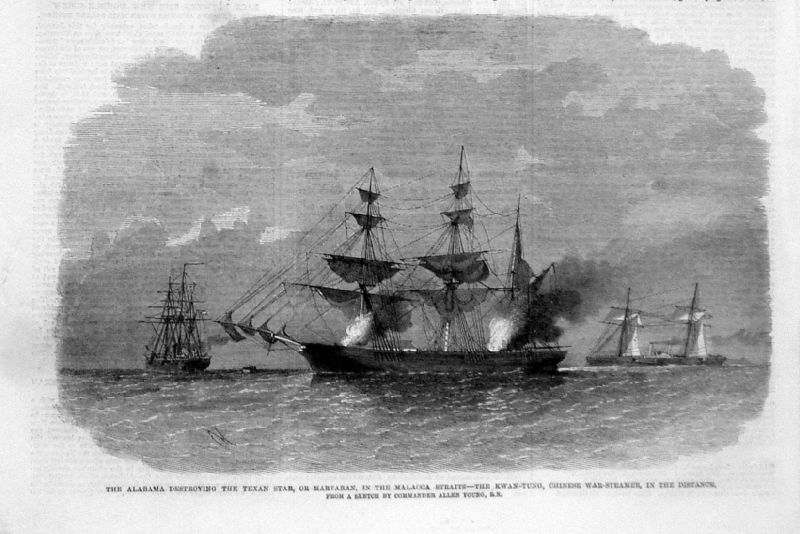 The Alabama destroying the Texan Star, or Martaban, in the Malacca Straits. 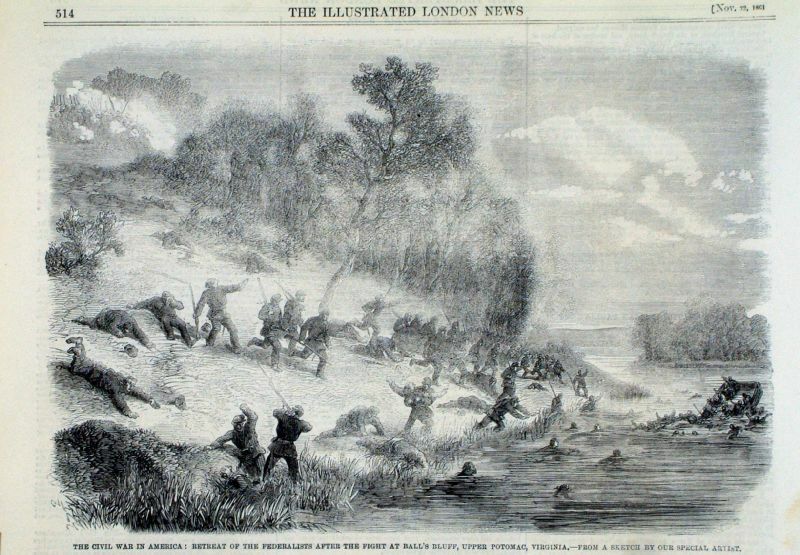 Illustrated London News April 2 1864 size: 260 x 170 mm. 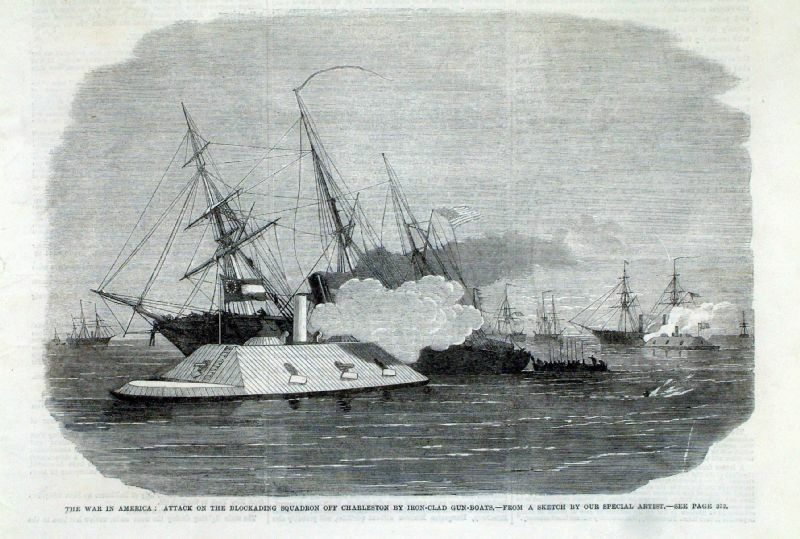 Attack on the Blockading Squadron off Charleston by Iron Clad Gun Boats. 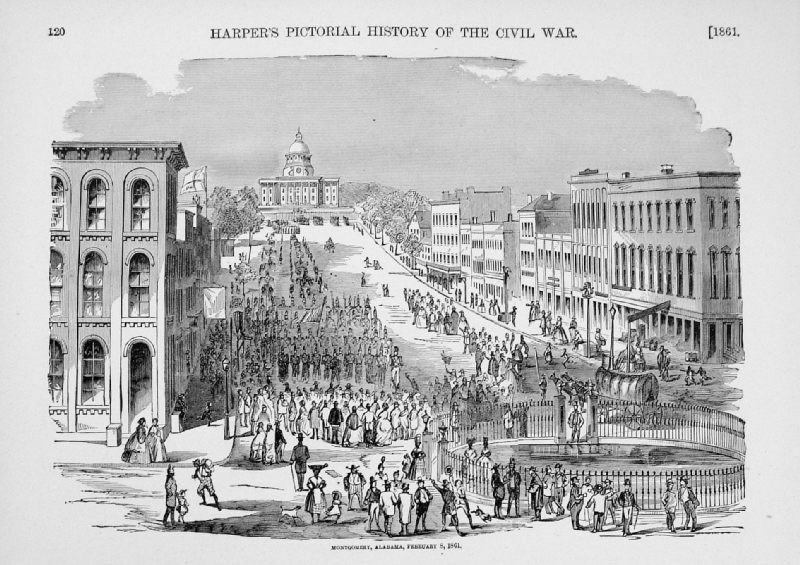 Illustrated London News April 4 1863 size: 260 x 180 mm. 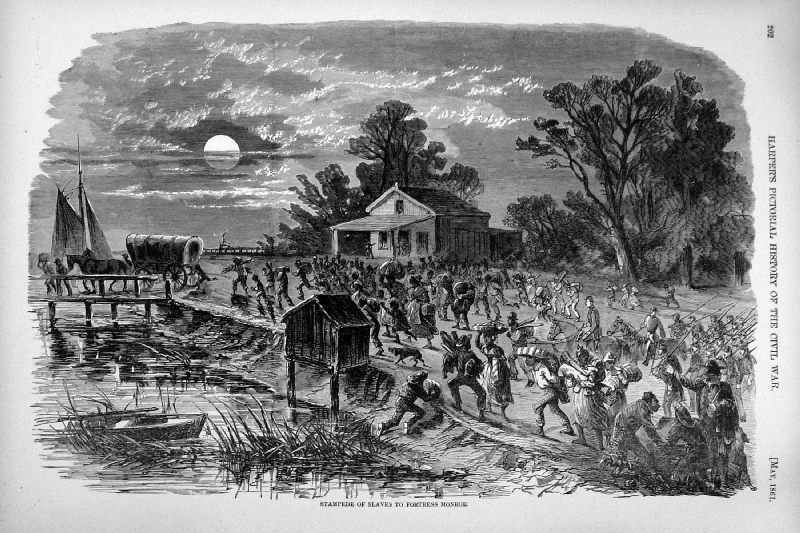 Scenes On Board The Alabama: Capt. Semmes, Secretary, Mr Bullock, Mr Macintyre Kell. 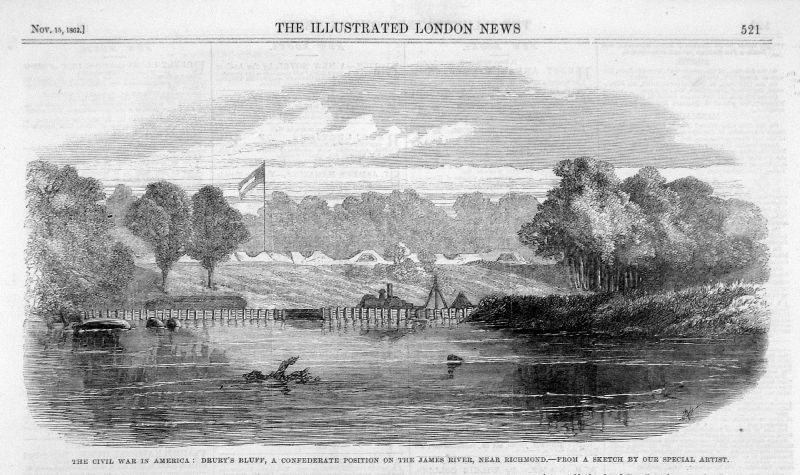 Illustrated London News Oct 10 1863 size: 260 x 370 mm. 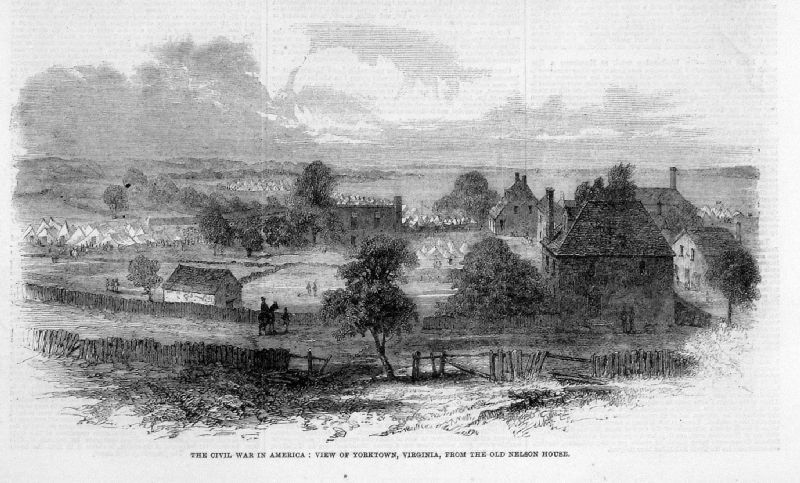 View of Yorktown, Virginia, from the Old Nelson House. 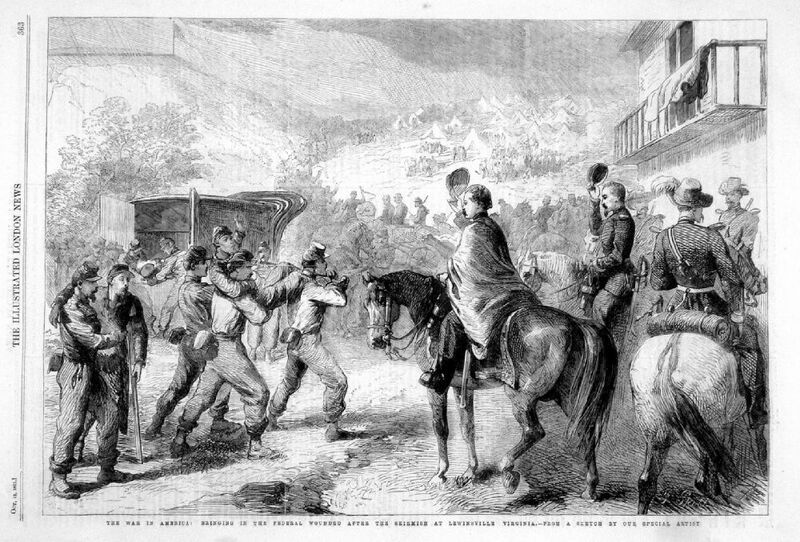 Illustrated London News Oct 5 1861 size: 260 x 150 mm. 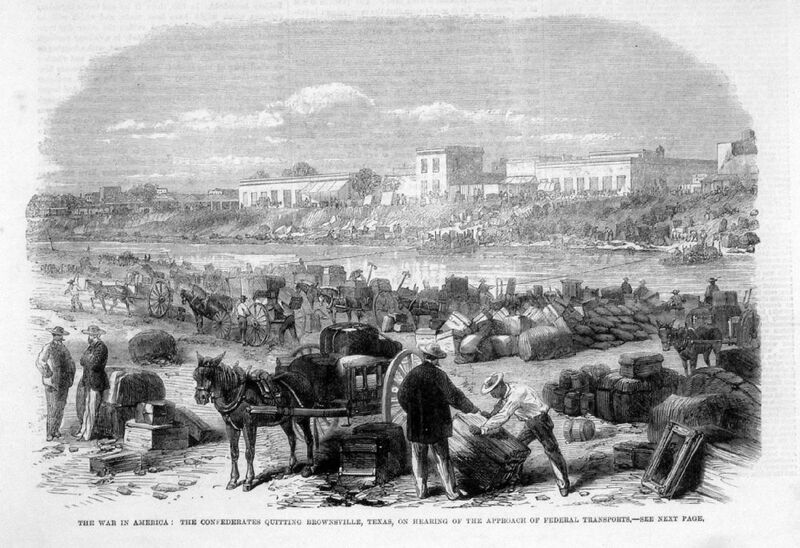 Illustrated London News Dec 7 1861 size: 260 x 170 mm. 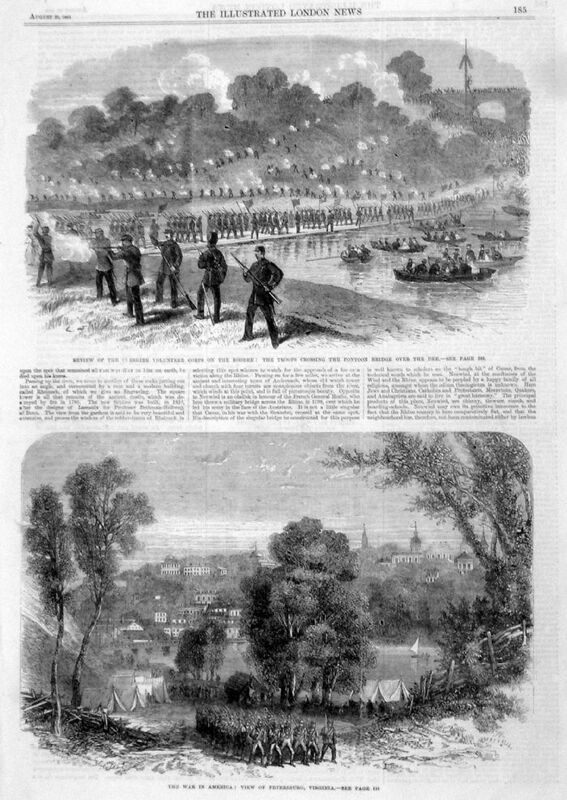 Illustrated London News June 22 1861 size: 260 x 180 mm, a few foxing spots. Woodcut engraving size: 380 x 260mm. 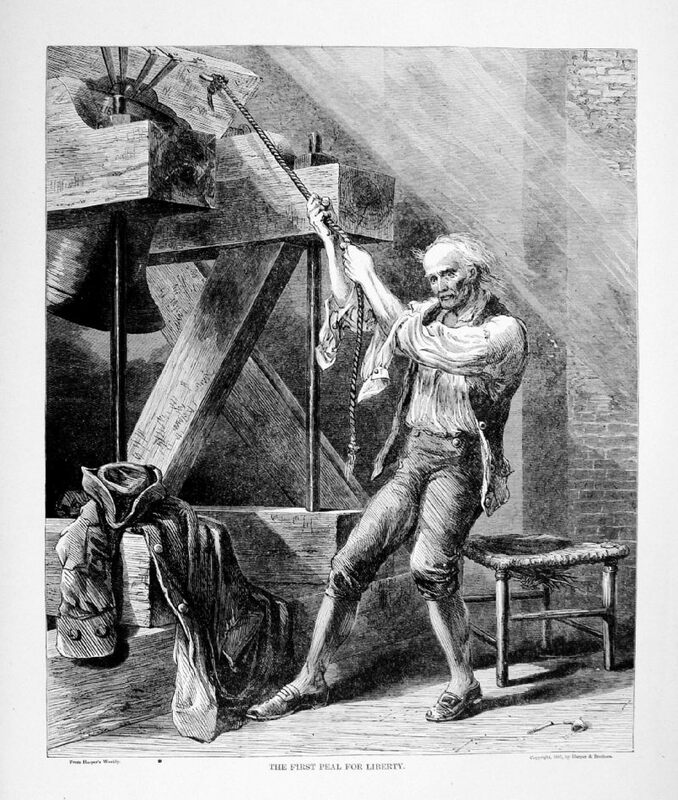 Woodcut engraving size: 250 x 170mm. 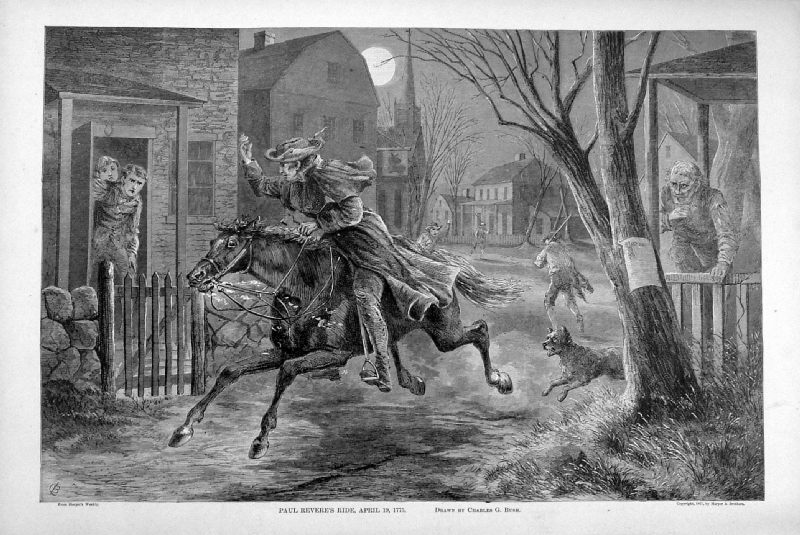 Woodcut engraving size: 260 x 190mm. Woodcut engraving size: 260 x 150mm. 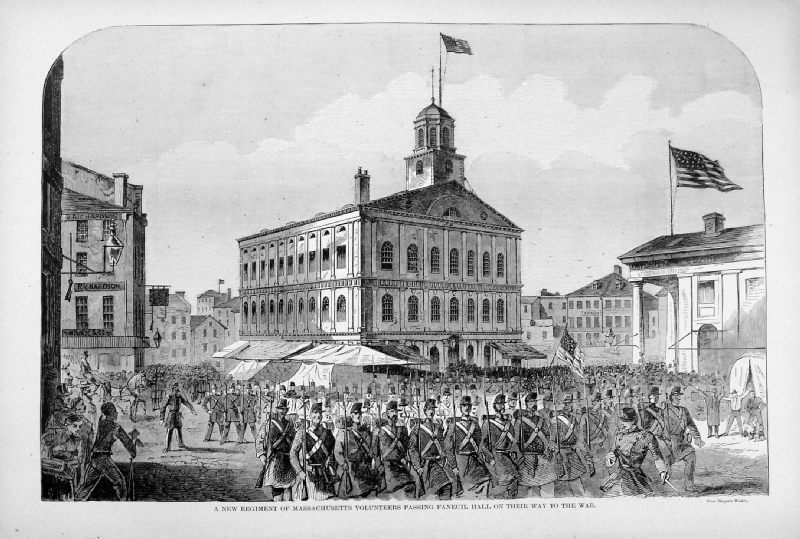 A New Regiment of Massachusetts Volunteers passing Faneuil Hall on their way to the war. 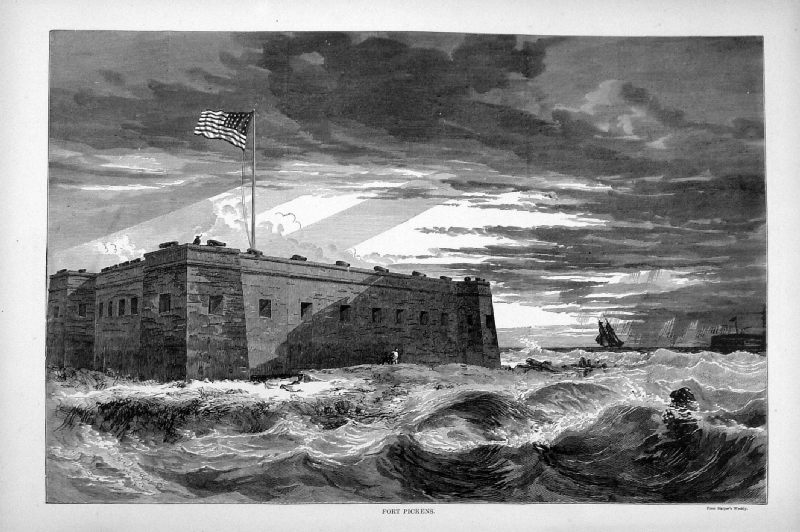 Fort Sumpter seen from the rear at low water. 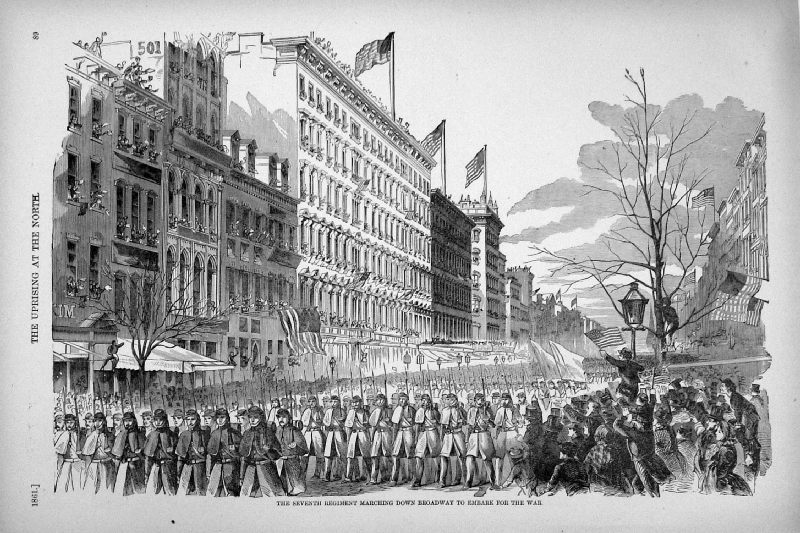 The Seventh Regiment marching down Broadway to embark for the war. 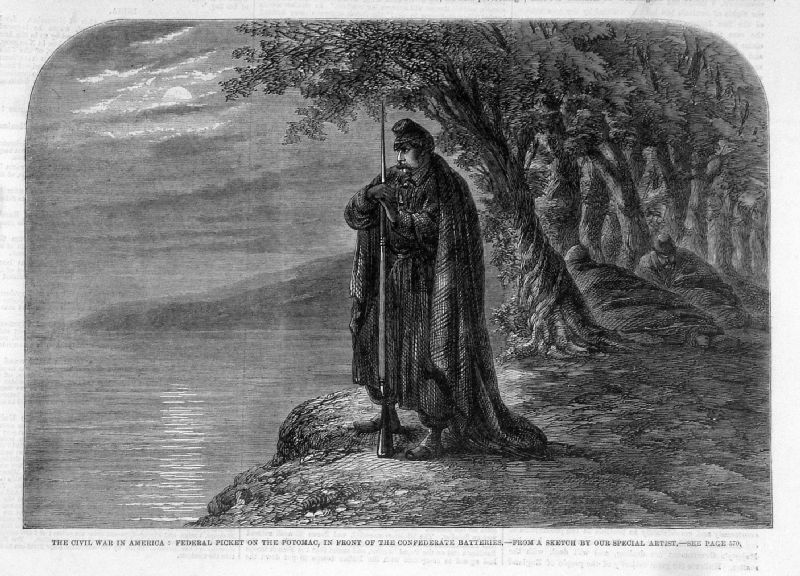 Woodcut engraving size: 260 x 320mm. 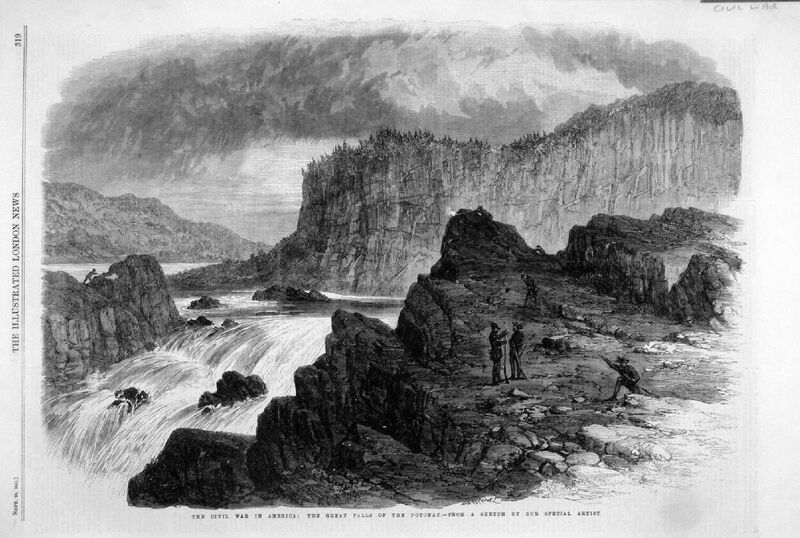 Woodcut engraving size: 540 x 370mm, centre join of 2 pages. slight discolouration at centre join.